The Welcoming Committee works to welcome people to KVIS and Kenmore in many ways. One of their primary concerns is welcoming people of all ages to the Village through a publication filled with valuable information that is mailed to those moving to here and through a party thrown biannually for these same people. 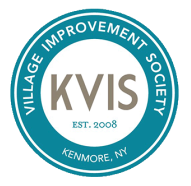 The Committee’s goal is to help members of the KVIS, residents and friends of Kenmore know that they are a welcomed, valued member of the Kenmore community. The Welcoming Committee meets on the 2nd Monday of every month at 7 pm and at other times as needed. Sometimes descriptive words together can create a picture of something or someone much like a photograph captures ones image. When words like creative, caring, curious, careful, and concerned are added to willing and thoughtful, it is easy to see a picture of a much loved Kenmore resident begin to form. When the words gentleman, loving family man, and proud Kenmore resident are added, it becomes clear that the person being described is Ed Wolf. Ed was a KVIS member who, with his wife Mary, formed our very first Welcoming Committee; they’re in the photo here lighting the candles for our Meet, Eat and Greet pot-luck dinner. This is so Ed; bringing light and a beautiful sense of hospitality everywhere he went. Though he is greatly missed, we carry the gifts of his strength and warmth with us.